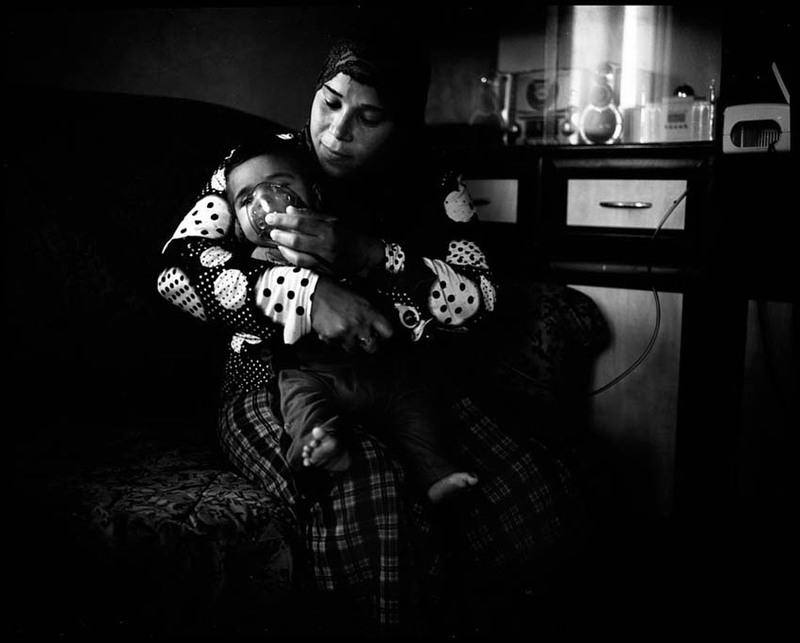 Naama and her son Abed who has been suffering from respiratory problems since he was one month old. Abed needs to use a breathing machine 5 times a day. As the village is deprived of electricity, they use batteries which often run out when Abed is in need of the breathing machine.